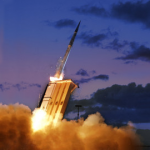 Lockheed Martin (NYSE: LMT) has received an $830.6M contract option from the Missile Defense Agency to continue developing a key element of the Terminal High Altitude Area Defense system. The company will develop additional THAAD increments, support ground and flight testing operations and help the agency sustain the Ballistic Missile Defense System, the Department of Defense said Thursday. The exercised option brings the total ceiling value of a previously awarded indefinite-delivery/indefinite-quantity contract from $1.50B to $2.33B. Work will take place in Sunnyvale, Calif., and Huntsville, Ala.
MDA will establish completion dates with each subsequent task order.